Joliet, Illinois is the fourth largest city in the state and acts as the county seat of Will County though parts of Joliet extend into neighboring Kendall County. Home to over 147,000 residents, its population is culturally, ethnically and economically diverse. The city has roots in the manufacturing and rock quarrying industries and is home to two casinos. Joliet has strong religious foundations and is home to the seat of the Roman Catholic Joliet Diocese. It is also home to the nation’s first public college. 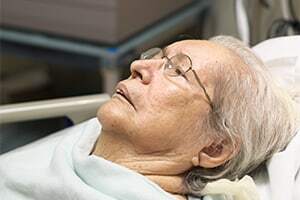 When it comes to negligent care in Joliet nursing homes, Rosenfeld Injury Lawyers LLC is dedicated to holding facilities accountable when their abuse or neglect results in harm to a patient they are entrusted to care for. Our attorneys regularly file nursing home negligence lawsuits in Will County on behalf of individuals and families. To discuss your case with one of our Joliet nursing home attorneys contact our office here or call anytime. The senior population of Joliet represents a significant portion of its 147,000 residents. Almost 12,000 Jolietans are over the age of 65 and another 3,000 are nearing retirement age. There are twelve nursing care facilities located throughout Joliet to tend to the needs of this important portion of the population. In recent years, however, many of the homes have been taken over by for-profit corporations and the quality of care has suffered as a result. The frequency of nursing home abuse cases has risen at an alarming rate, so it is important to conduct a thorough evaluation of facilities before choosing a home for your loved one. The Joliet nursing home lawyers at Rosenfeld Injury Lawyers LLC have helped hundreds of clients move their loved ones into homes that provide more reliable care and are glad to provide the latest ratings of the most prominent nursing facilities in Joliet below. The Joliet Terrace Nursing Center is a for-profit partnership offering 120 beds that qualify for Medicaid payments. It has received an extremely poor rating from medicare.gov, which has cited concerns over the environment provided for residents and the hiring practices of the home’s administration. Some instances have included falls which have resulted from objects left in common traffic areas, the failure to enact a program that would prevent the spread of infection and the failure to perform background checks on new hires. Many of the problems are symptoms of understaffing, which makes it impossible for staff members to tend to the needs of each patients and leads to mistakes. The staff received a one star rating for its size and attentiveness to patient needs and this combined with a one star health inspection rating have earned the facility an overall rating of one star out of five. No fines or penalties have been assessed against the Joliet Terrance Nursing Center in the last three years, but its ratings suggest that it is a nursing abuse lawsuit waiting to occur. Our Lady of Angels is a church connected non-profit home that has 58 beds which qualify for Medicare and Medicaid payments as well as an additional 50 shelter care beds. Its staff level has been deemed more than adequate, receiving five stars. Its quality measures received an above average rating, but the facility has a history of health inspection deficiencies that may raise concern. The main areas of concern cited were the safe handling of food, hiring practices and inability to keep walking areas free of obstacles. Overall, Our Lady of Angels Retirement Home received three stars out of five. The Parc at Joliet is a rather large nursing home with 203 Medicare and Medicaid qualified beds and is run by a for-profit corporation. Its mediocre staff level and quality measures combined with a poor health inspection rating make this home a cocktail for disaster, which is evident by its one star rating overall. Its infractions include failure to provide residents with three meals a day, a medication error rate above 5%, environmental hazards and poor maintenance of prescription records. This nursing facility has been fined once in the last three years and has not been declined any government payments. The Presence nursing home chain is owned by a church run non-profit organization and the staff at this home is superior to its for-profit counterparts but the facility’s rating has suffered due to infractions cited in its health inspection history. Included in the deficiencies were the failure to assist patients who were unable to eat or drink on their own accord, the poor implementation of a program to prevent the spread of disease and inattention to trip and fall hazards. This facility is also a larger home and statistics have shown that quality of care tends to decrease proportional to the size of the facility. Presence Villa has 176 beds that qualify for Medicare and Medicaid payments. Of the for-profit nursing care facilities located in Joliet, the Rosewood Care Center of Joliet represents the cream of the crop. This home has received a five star overall rating from medicare.gov and maintains a well-trained staff that is sized appropriately to meet the needs of its patients. The majority of the issues cited in the facility’s health inspections seem to be administrative, such as the ensuring the accuracy of records and the implementation of policies that would prevent abuse. Despite these concerns, the facility earned a four star inspection rating and has not been required to pay any fines or declined any government payments over the last three years. 92 of its beds qualify for Medicare and Medicaid payments. Salem Village is a huge for-profit nursing facility that contains 266 beds qualifying for Medicare and Medicaid payments. Its skeleton crew, quality measures and health inspections history have earned the home a one star rating overall. These issues have resulted in two fines that have totaled nearly $60,000 in the last three years. Pressure sores, medication errors and hygienic issues all raise red flags for anyone considering placing a loved one in this nursing center. The most recent complaint made in March of 2015 was that residents were not provided with clean bed linens and bath towels and as of July, the issue has not been corrected. Sunny Hill is a government operated facility that offers 252 beds that qualify for Medicare and Medicaid payments. The size of this facility increases the risk that a loved one here may encounter an issue and it is more difficult to seek compensation from the government should your loved one be the victim of neglect or abuse. Sunny Hill’s staff is adequately trained and sized and received a four star rating. The facility’s overall score of three stars makes it average and the main factor driving down the score is a poor health inspection history. Environmental hazards are the primary concern at Sunny Hill, which needs to improve its fall and trip prevention policies and ensure that common walking areas are free of obstacles and that residents at risk of falls are properly supervised. Symphony of Joliet is another large for-profit nursing center that operates on a short staff and the quality of care provided has suffered. The home has 214 beds that qualify for Medicare and Medicaid payments and its larger population stretches its small staff beyond its means. One of the most nefarious offenses committed by this facility is that it has made it difficult for residents and family members to view the results of the home’s latest health inspections. Other infractions include not caring properly for patients with bedsores, not providing proper nutrition or addressing the nutritional needs of individual residents, failure to assist patients who cannot eat or drink on their own and the lack of a program designed to prevent the spread of disease or infections. If you are considering placing your loved one in this facility, you may want to think twice. Even if you have carefully vetted the nursing facility you’ve chosen for your loved one, it is important to be mindful of the signs that he or she may be suffering from neglect or abuse. Following are symptoms of the problems that are specifically common to the Joliet area. Infections and disease. Many of the homes in Joliet have been cited over concerns resulting from insufficient measures to prevent the spread of infectious diseases. If your loved one contracts an infection, it is important to investigate whether the facility he or she is residing in has a history of poor prevention measures. Trips and falls due to environmental hazards. Highly trafficked areas in each resident’s living area or where he or she may be inclined to walk need to be free of obstacles and environmental hazards such as wet floors. Falls often result in broken bones and deep bruising, which are more serious injuries for the elderly and infirm, as they do not heal as quickly. Additionally, fractured hips are linked to permanent loss of mobility and premature death. Failure to screen new hires. It is of critical importance that any worker who is responsible for providing care to patients is properly vetted and cleared prior to employment. If this step is not taken, those with questionable records can be allowed to care for your loved one, which may result in abuse. Malnutrition and dehydration. Lack of proper nutrition or dehydration can result from poor meal planning, the failure of staff members to deliver food to every resident and failing to provide assistance to those who cannot eat or drink of their own power. Nursing home abuse has become a sensitive topic over the last ten years. The number of reported incidents of neglect or abuse has skyrocketed. If you suspect that your loved one is being mistreated at a Joliet, Illinois facility, it is important that you do not hesitate to investigate the situation and remove him or her from the harmful environment. Families who are unsure of how to transition their loved ones from an abusive facility into the hands of qualified caregivers can find the answers they seek by speaking with a Joliet nursing home attorney. The Illinois nursing home abuse team at Rosenfeld Injury Lawyers LLC does not work solely on taking our clients’ cases to court, but also on making sure that they are able to find relief for their loved ones. We will help you find a nursing facility that will treat your loved one with dignity and respect and fight hard for justice so that those responsible for his or her injuries will be held into account. The compensation we have won for hundreds of clients in similar situations has helped them afford treatment of the injuries suffered from abuse or neglect as well as the transition into a better home. Contact us today to arrange a free consultation with one of our Joliet nursing home lawyers to learn more about your legal rights and your options if you should seek compensation. We wish to be able to provide our services to anyone who needs them so we will not require any payments upfront and if we are unable to secure compensation on behalf of your loved one, our services will be absolutely free of charge. Many of the settlements developed in the area first came into existence shortly following the conclusion of the Black Hawk war. Joliet was first settled in 1834 as Juliet, which historians believe to be a mistranslation of French Canadian explorer Louis Jolliet’s last name. The name inspired a neighboring settlement to name itself Romeo and the two towns maintained a rivalry with each other throughout their growth and development. Juliet was founded along the Des Plaines River, which provided farmers with fertile land to produce crops. The river would remain a strategic position throughout the city’s history and contribute to its continued growth. One of the first structures of renown constructed in the town was the National Hotel and its opening in 1837 made the city attractive for would be settlers because it served as the social center where residents would gather for parties and planned events. The courthouse was built the next year and doubled as a church until the city built a superior courthouse in 1848. It was also in this year that the Illinois and Michigan canal was completed. This brought industry, commerce and a population boom to Joliet as the canal allowed the city to access a greater network of waterways via the Des Plaines and DuPage Rivers. The local population decided to change the name of the city to Joliet in 1845 and its rival state, Romeo, would eventually come to be known as Romeoville. In 1852, Joliet became a city due to the efforts of its first Mayor, Cornelius Cohenhoven Van Horne for whom the Van Horne Bridge is now named. Mills, factories and quarries began to appear in great numbers throughout the city due to its vicinity to two major rivers and a rich deposit of limestone between Joliet and its rival, Romeoville. The railroad tycoon, Jacob A. Henry, built a luxurious mansion out of the limestone mined from his own quarry that contained forty rooms. The architecture has been classified as one of the truest and most accurate examples of the Renaissance Revival Period and the home was turned into a museum which still welcomes visitors to this day. Joliet soon became a steel city following the discovery of large minable coal deposits. In 1912 the Joliet Union Station was constructed to make it easier to transport the multitudinous goods the city produced and to invite travelers from afar. The station included the Grand Ballroom, which was tailored for the specific purpose of serving the needs of traveling businessmen and visitors. Joliet Union Station gained inclusion on the National Register of Historic Places. As happened to many of the steel cities of renown, Joliet went through a period of economic hardship in the middle of the 20th century. The city reached its most dire state in 1983 when its unemployment had exceeded 26%. Joliet has since diversified its economy but remains a far more attractive place to live than to work. Many of the newer residents work outside of the city for companies located in surrounding suburbs. Joliet is home to numerous landmarks and places of historical significance and these attractions are a great draw for tourists and visitors from nearby towns. Several movies and television shows have been filmed on site at the Joliet Prison— the most iconic scene being the opening of the movie The Blues Brothers. The prison is also where the popular television show, Prison Break was filmed. Joliet is also home to the Chicagoland Speedway and the Route 66 Speedway. The Chicagoland Speedway is home to NASCAR events which draw commerce to the city each year. The Route 66 Visitors Center is a popular attraction and honors the famous Route 66, which was one of the first highways to span the entire continental United States. The Rialto Square Theatre gained renown as the favorite hangout for gangster, Al Capone and has been the location for the filming of several feature films. Down the street from the theatre is the Joliet Area Historical Museum. Joliet’s economy was heavily driven by manufacturing and mining throughout its early development and many of its jobs disappeared during the 1900s. The city has still been able to recover completely from the economic collapse, but many of its residents are employed elsewhere. The healthcare and gambling industries provide the most jobs at the moment and the University of St. Francis and Joliet Junior College both draw additional jobs and create opportunities for those seeking them. The city is predominantly white, but has large segments of African-Americans and Latinos, producing a diverse ethnic and cultural backdrop to the city.